The Brecon Beacons National Park covers 110 square miles of hills, cliffs, moorland walking, and valleys filled with waterfalls. 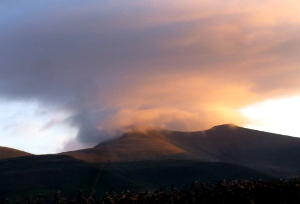 At 2,750 feet the highest peak is Pen-y-Fan, often snow covered for four months of the year. There are gentle paths leading up to hill forts and ruined castles. 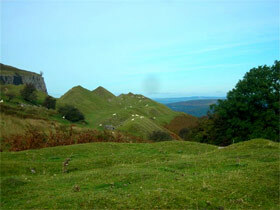 Towards "the valleys" are the vestiges of Wales' important industrial history. Blaenavon is a world heritage site with the first ironworks in Wales, and close by is the Big Pit and its 800' decent to walk through the history of coal mining. Along the canal banks are overgrown lime kilns and the remnants of hair raising tram roads that carried lime and coal to the barges for export all over the world. The Beacons are crossed with paths, cycle tracks and equestrian trails. 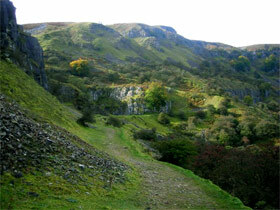 There is gliding, caving and rock climbing, as well as canoeing and golf. Trout and salmon fishing can easily be organised. There are riding stables in Llanfrynach and dinghy sailing close by at Llangorse. The small churches are exquisite and quirky in equal measure. The National Gardens of Wales are a reasonable day trip from the house and a little further beyond is the Pembrokeshire coast with its old fashioned sandy beaches, caves, rock pools, horse riding, marine diving, and migrating puffins.